Will France cancel fuel tax imposition? French President Emmanuel Macron has ordered Prime Minister Edouard Philippe to begin talks with the political leaders of ''yellow vest'' protesters to end nationwide demonstrations and riots, which turned Paris' central streets and squares into a battlefield. The ''yellow vest'' movement began on social media in October, after Macron's administration introduced a combination of a direct tax on diesel, which is commonly used by motorists in France, and an increase in the carbon tax, which is meant to limit greenhouse gas emissions. The government has the objective to keep increasing this tax for the next few years (going from €39 in 2018 to €47,5 in 2019). The French Ministry of Transport expects the alignment of the petrol and diesel tax in 2022, leaving it at 78 cents per litre. 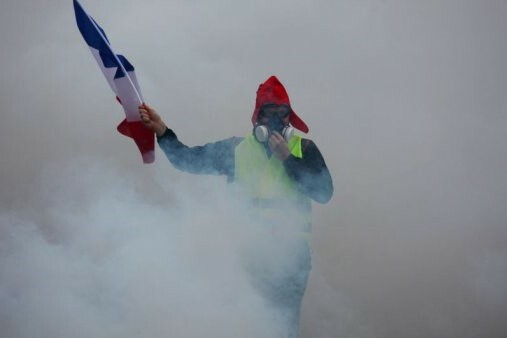 French government spokesperson Benjamin Griveaux said that "all options should be considered to maintain public order and safety." Opposition politicians condemned the violence but also criticised the government's response. Far-right and far-left leaders Marine Le Pen and Jean-Luc Melenchon called Sunday for new parliamentary elections.